Oundle Driving School provide high quality driving lessons throughout Burton Latimer and the surrounding Northamptonshire areas. When it comes to getting the best driving lessons possible in Burton Latimer, there’s no better choice than our driving school. We offer a diverse variety of driving lessons tailored to suit individuals based on their own time constraints – be it due to work, school, college or anything in between. 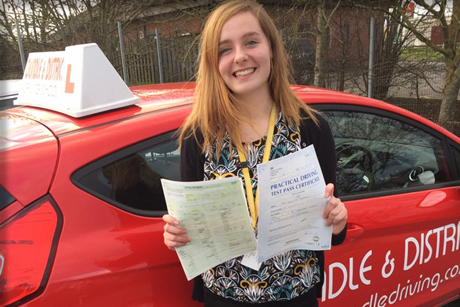 Whether you require single driving lessons, block driving lessons or intensive driving lessons, we have a team of deeply experience, fully qualified driving instructors throughout Burton Latimer who can meet any demand. Delivering an enjoyable learning experience for learners in Burton Latimer is at the core of what we do at Oundle Driving School; we aim to make our driving lessons and courses as accessible as possible to all age ranges. Regardless of whether you’re a new learner or even an experienced driver looking for a refresher course to boost your confidence on the roads of Burton Latimer, we’re happy to work with learners of all experience levels in the same patient, friendly manner that we’re known for. Over the past 35 years we’ve built a reputation throughout Burton Latimer for providing learner drivers with a platform that’ll get them to driving test standard in no time at all, while also offering advanced driving lessons that’ll further develop your skills so you can take your driving test with assured confidence in your ability. At every twist and turn our friendly driving instructors for Burton Latimer will offer patient, detailed advice to ensure you’re never shorthanded when it comes to sitting your driving test and theory. READY TO SIT YOUR DRIVING TEST & THEORY? We do everything in our power to prepare you for your theory and test. The next step is to visit the closest driving test & theory centre to Burton Latimer to become a fully licensed driver! We cover an area within a 30 mile radius of Thrapston which covers Northampton,Wellingborough, Peterborough, Oundle, Kettering, Corby, Rushden, Raunds, Thrapston, Desborough, Rothwell, Market Harborough and many other places. To enquire about our Driving Lessons, please contact us on our hotline number or Click Here to make an enquiry. If you are interested in joining us as an instructor please e-mail james@oundledriving.com with all of your details. We will get back to you as soon as possible. 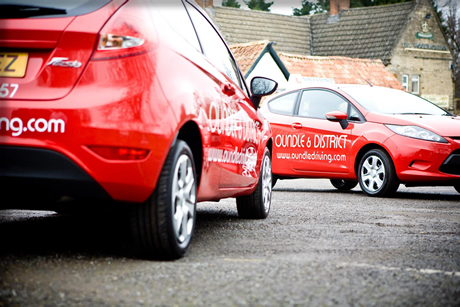 Oundle & District Driving School are the leading driving school in Northamptonshire and South Cambridgeshire. We cover Northampton,Wellingborough, Peterborough, Oundle, Kettering, Corby, Rushden, Raunds, Thrapston, Desborough, Rothwell and Market Harborough.